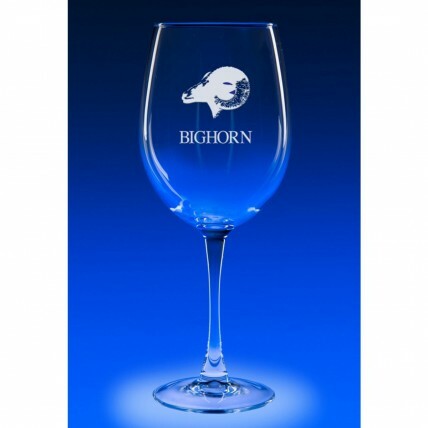 Let your wine breathe and enjoy the bouquet with our engraved Jumbo Wine Glasses! Made of brilliant clear glass, each measures 9 inches tall by 3.5 inches in diameter and holds a colossal 19 oz of your favorite wine. Your logo is etched for FREE in frosted white. Price includes set of four glasses.